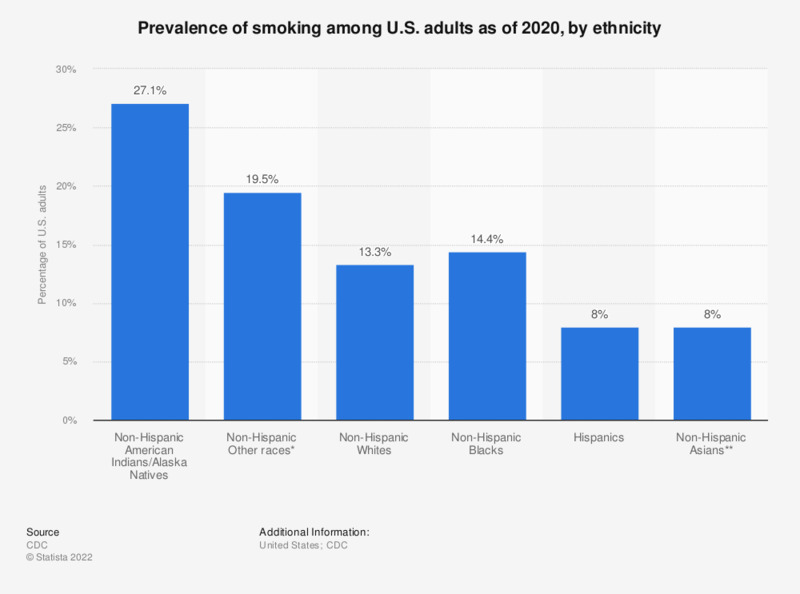 This statistic represents the prevalence of smoking in the United States as of 2018, by ethnicity. In that year, the prevalence of smoking was highest for American Indians with a total of 28.7 percent. * The 2017 ranks are based on self-reported data from CDC’s 2016 Behavioral Risk Factor Surveillance System (BRFSS). Percentage of adults who are current smokers (self-report smoking at least 100 cigarettes in their lifetime and currently smoke). Smokers: At what age did you begin smoking?